Thousands of Twitter accounts known as “bots” targeted Bernie Sanders supporters to rally support for the Trump campaign in the 2016 presidential election after Sanders’ loss to Hillary Clinton for the Democratic primary. Researchers at Clemson University collaborated with the Washington Post on a report that found tens of thousands of tweets sent from bot accounts controlled by Russian agents drew parallels between the populist, working-class messages of the Trump campaign and that of Sanders, the independent senator from Vermont. “#BlackMenForBernie Leader Switches to Trump! I will Never Vote for Hillary, Welcome aboard the Trump Train,” said one tweet sent by a Russian bot. The account described itself as a “Southern., Conservative Pro God, Anti Racism” Twitter user from Texas. 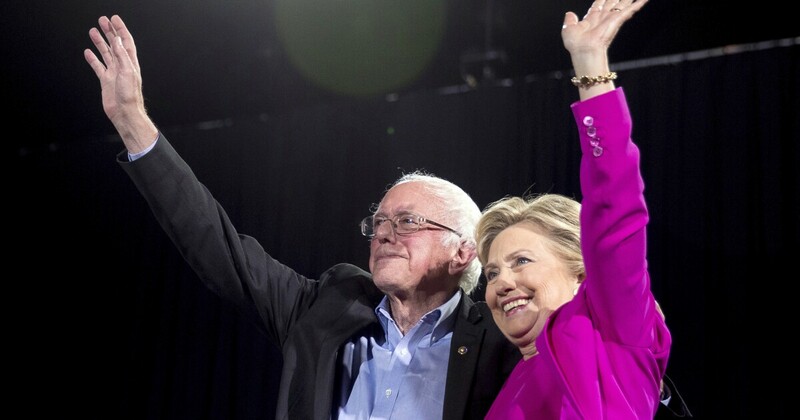 In an effort to have Sanders’ supporters defect from Clinton’s Democratic Party, the bots also highlighted questionable tactics Sanders’ supporters claimed took place in order to rig the Democratic nomination process for Clinton. “I think there is no question that Sanders was central to their strategy. He was clearly used as a mechanism to decrease voter turnout for Hillary Clinton,” said Darren Linvill, researcher and Clemson University associate professor of communications. Nearly 12% of voters who supported Sanders in the Democratic primary crossed party lines and voted for Trump in the general election, according to a post-election survey by NPR. The numbers are particularly stark in light of Trump’s upsets in Michigan, Wisconsin, and Pennsylvania, which clinched the election for him. Last month, Attorney General William Barr sent a letter to the leaders of the Senate and House Judiciary committees, briefing them of the “principal conclusions” in Mueller’s Russia investigation. The summary said the special counsel did not find evidence of collusion between the Trump campaign and Russia. 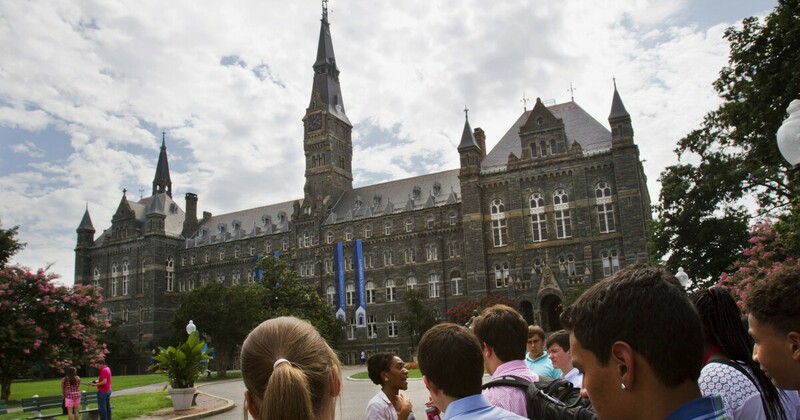 Georgetown University students overwhelmingly voted to increase their tuition to pay reparations to the descendants of slaves once owned by the school. The move comes as reparations are increasingly being discussed on the campaign trail for the 2020 Democratic presidential nomination. The Georgetown University Student Association held the referendum this week, with students supporting the measure by a two-to-one margin. The fee would increase tuition at the nation’s oldest Catholic university by nearly $28 per semester for every student. The money would go into a fund for descendants of the 272 slaves the Jesuits sold in 1838 to keep the deeply indebted university open. The vote is not binding, however. University leadership will make the final decision on whether to implement a mandatory fee for reparations. Reparations have become a topic of debate in the race for the Democratic nomination for president. At least four White House hopefuls — Obama-era housing secretary Julián Castro, California Sen. Kamala Harris, Massachusetts Sen. Elizabeth Warren, and former Texas Rep. Beto O’Rourke — support payments to descendants of slaves. New Jersey Sen. Cory Booker has ripped into his opponents for not doing enough to make reparations a reality. Independent Vermont Sen. Bernie Sanders disagrees with the idea, however, saying that he would rather focus on the economic inequality that puts African Americans at a disadvantage. The new Medicare For All bill introduced by Sen. Bernie Sanders, I-Vt., would kick 181 million Americans off their existing private healthcare coverage, according to The Daily Signal. In a breakdown of the bill, The Daily Signal reported the legislation would create a new national health insurance plan to provide universal coverage to all U.S. residents, regardless of their legal status, and be phased in over four years. But, under Section 107, the Daily Signal reported the bill would outlaw private health coverage, including employer-sponsored coverage, that “duplicates” the coverage provided under the government health plan. The Daily Signal reported that would mean about 181 million Americans would lose their existing private coverage. It would also abolish other federal health programs, including Medicare, Medicaid, the Children’s Health Insurance Program, Tricare, and tthe Federal Employees Health Benefits Program — programs that cover tens of millions of Americans — and absorb them into the larger program. According to The Daily Signal, the consequences of the bill will be slower care, fewer available doctors and new taxation.